Welcome to 2019! Are you planning your first trip of the year yet? You might be like most of us in not having the opportunity or means to get to a far-flung or exotic destination early in the year. That doesn’t mean however that you can’t enjoy a few days away. Short city breaks are hugely popular during January – and one of the best is almost on our own doorstep. It’s London. 1 – Value For Money! No, that’s not a mistake. 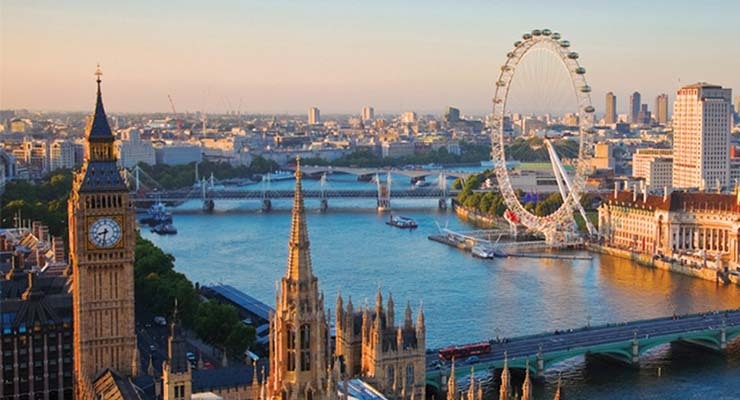 London may not be a budget destination, but there’s still great value to be had by Irish visitors. That’s particularly true at this time of year, when hotel rates are at their lowest. Factor in cheap flights from Aer Lingus or Ryanair, and you’re off to a good start. Also consider the effects of Brexit. One good thing about it is that your euro buys you a lot more Sterling than it used to. For instance, in January 2016, €1 was worth just 73p. Today it’s worth 88p. Or put that in reverse: two years ago, a £10 item in London would cost you €13.60. Now it would cost just a little over €11. The favourable exchange rate means you’re making savings on everything you buy. Continuing with the theme of money…January is a great time to see a show in London. That’s because of the annual ‘Get into London Theatre’ promotion, offering discount tickets to almost 50 of London’s best plays and musicals. Options this year include old favourites like ‘Phantom of the Opera’, and relatively new ones like ‘Matilda’. Prices can be as little as just £10 for some seats at some performances. Winter Lights returns for a fifth year bringing together some of the most imaginative and exciting international artists working with light art today. The festival draws upon state-of-the-art light technology to deliver spectacular artworks, installations and experiences – many of them interactive or responsive – and has continued to gather pace with bigger and brighter installations every year. It will run in the Canary Wharf area of the city until 26 January, and you can enjoy it all for free. Scotland is of course the spiritual home of Burns Night – celebrated on January 25 – but you’d be surprised just how much happens in London for it too. Many restaurants and bars have Burns Night specials, serving neeps and tatties and haggis, to be washed down by whisky. Some host poetry readings, pipe bands, and other celebrations of the life and works of the iconic Scottish poet. 5 – A great time to just see the sights! London is less crowded in January than any other time of year. That means it’s a great time to just wander around and see the sights, without the usual hustle and bustle. It’s also a great time to see some of London’s many superb museums, that are much more crowded at other times of year. Best of all, many of London’s top museums are completely free of charge – check out a list here. If you decide to visit London in January, or indeed anywhere else, then be sure to take out travel insurance before you go. It can be easy to overlook travel insurance for just a short break, and particularly for somewhere as close as the UK. But remember – there’s as much chance of having an accident there, or something else going wrong, as there is anywhere else. That’s why it’s important to be covered.